Inclement weather has nothing on your run. 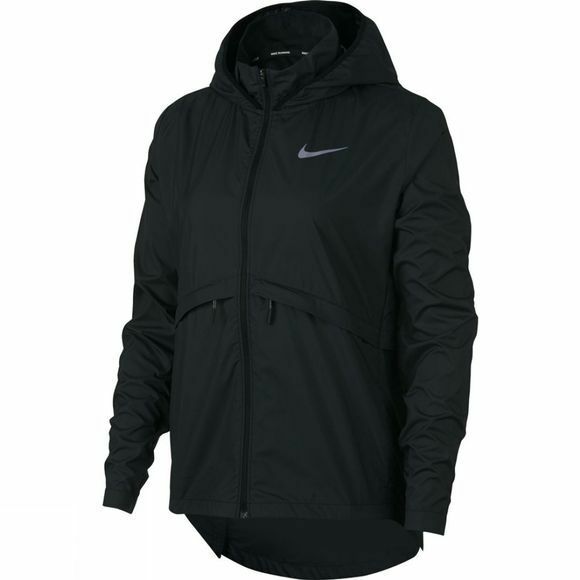 The lightweight, water-repellent Nike Essential Women's Hooded Running Jacket keeps you covered with adjustable coverage and strategic ventilation. Its packable design makes it easy to carry when the weather clears up. 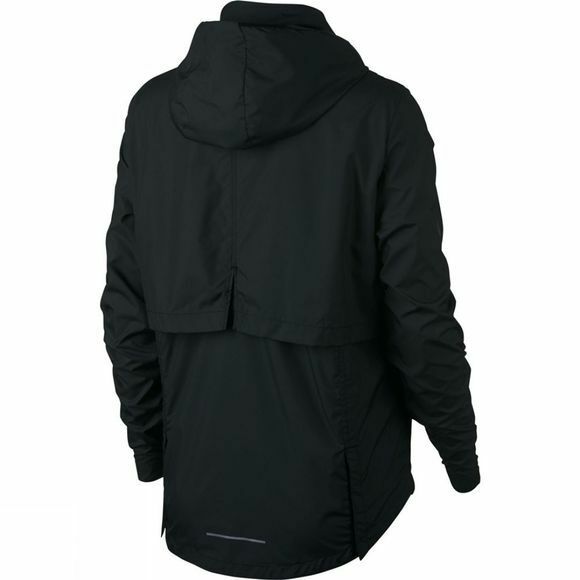 Jacket packs into the front pocket for easy storage. Vents at the back enhance airflow. Runner-specific hood won't impede your field of vision.